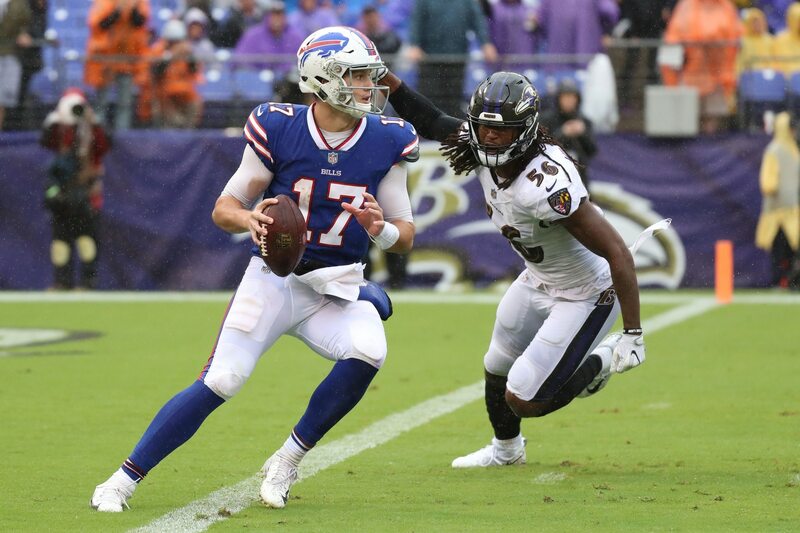 Following a humiliating 47-3 loss at the hands of the Baltimore Ravens in Week 1, the Buffalo Bills are already turning to rookie quarterback Josh Allen. The team announced him as their starter for Week 2 against the Los Angeles Chargers after Nathan Peterman stunk up the joint big time this past Sunday. Seen as a project with major accuracy issues, it’s hard to imagine that Allen will somehow be able to save the sinking Titanic. But it does appear that at least one teammate is excited about what he brings to the table. LeSean McCoy better hope so. Short of Allen somehow showing defenses that he can beat them over the top, Shady will be facing eight and nine men boxes moving forward. It’s why we’re not expecting a huge season from the six-time Pro Bowler. Facing stacked boxes against Baltimore, the 30-year-old McCoy put up just 22 yards on seven attempts. He’ll need more help from Allen against a very good Chargers defense this week.